Chamonix. Davos. Zermatt. These names are European ski resort royalty. And while they remain some of the continent's finest spots to play in the powder, there are plenty of lesser-known ski locales in Europe, too. Skiers have long looked to Eastern Europe for pistes at a portion of the price compared to posh Alpine resorts; Bansko is one of the best. Located in the heart of Bulgaria’s Pirin Mountains, Bansko balances out a romantic cobblestoned village with 14 ski runs that are loaded with all the modern bells-and-whistles. 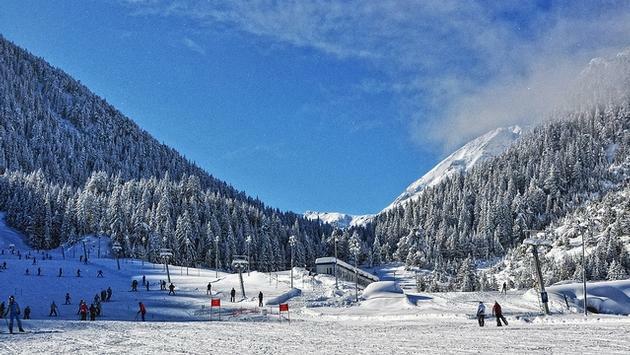 And for those with an appetite for apres ski shenanigans, Bansko is home to a sizzling scene that can compete with any in Europe. Rauland may only be Norway’s fourth largest ski resort, but it is the largest in the country’s beloved rustic county of Telemark. Here you will find over 40 slopes for skiers of all abilities and numerous places where you can go off-trail or take to the backcountry. Rualand goes out of their way to be family-friendly and, while you may not save a ton of cash skiing here (it is Scandinavia, after all), you will get tremendous bang for your buck. You bet your kilt you can ski in Scotland! The Highlands get hammered with snow each winter, and there are a handful of resorts perfectly placed to take advantage. The Cairngorm Mountain Resort near Aviemore is the best bet for snow throughout the season. The apres ski scene may be a little subdued compared to other major resorts, but you’re guaranteed a good time—especially if you tie in your winter sports with whisky tasting. It’s quite a feat to host the Winter Olympics—as this country did in 1984 when it was still part of Yugoslavia—and still manage to fly under-the-radar when it comes to skiing destinations, but that is the case with Bosnia. Regardless, this beautiful Balkan nation is home to several championship-caliber ski resorts where you will find challenging runs and fewer crowds. Jahorina is located on the doorstep of Sarajevo, which allows skiers to mix in winter sports fun with finding out more about this fascinating city. The Tatras are a mesmerizingly gorgeous mountain range and one of Europe’s most underrated outdoor playgrounds. Zakopane is located on the Polish side of the Tatras and is the country’s winter sports wonderland. While snow falls all winter here, savvy skiers wait until later in the season for the bargains, as Zakopane typically keeps snow on it mountains well into Spring. 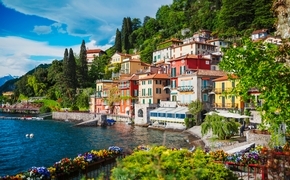 While this resort may be located in the French Alps—just a snowball’s throw from the Italian border—word is just starting to get out about the super skiing here. Sainte Foy is home to a microclimate that results in winds bringing buckets of snow each year. And if that wasn’t enough reason to set off for the slopes, Première Neige—an award-winning British ski vacation operator—focuses exclusively on Sainte Foy.